Cristin is the owner of Wellbeing, a holistic health clinic in Cornelius, NC, and she is a Licensed Acupuncturist (LAc) in the state of North Carolina. She is board certified by the NCCAOM in both acupuncture and Chinese herbal medicine, and she has a four-year Master of Science in Oriental Medicine (MSOM). She has studied Qi Gong for eleven years in the US, China, and Tibet through the Heron Institute and the National College of Natural Medicine. She has studied under the tutelage of Heiner Fruehauf, Master Wu Zhongxian, and Master Wang Qingyu. She is trained mainly in the Mt. Emei and JinJing Schools of Qigong. In her clinic, Cristin treats a wide variety of conditions such as pain, fertility, depression, anxiety, insomnia, digestive disorders, and cardiovascular health issues. Cristin uses a combination of Acupuncture, Chinese herbs, Medical Qi Gong, Shiatsu Massage, natural supplements, and dietary counseling to offer her patients a holistic treatment that address the physical, spiritual, and environmental causes of illness. Cristin encourages her patients to participate in their own healing process and to work with her as a team to find their most optimal treatment strategy. Outside of work, Cristin enjoys taking her dog Kelsey to the local dog parks, participating in her book club, and learning how to prepare foods from around the world. She is an avid swimmer, Qi Gong junkie, and ‘wannabe’ potter. 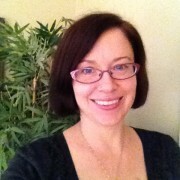 Julie first studied with the Subtle Yoga 250 hour yoga Teacher Training program with Kristine Kaoverii Weber. The Subtle Yoga system is a well-rounded philosophy encompassing all 8 limbs of yoga. Julie again participated in and completed the intensive Subtle Yoga & Sarva Health Systems’ Yoga Therapist 500 hour training. Encouraging ‘deep breathing’ and various asana, stretching, restorative practices and meditation techniques she believes that connection with the body is necessary in healing and will work well with western style medicine. 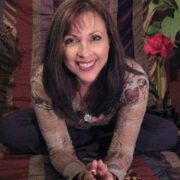 In Julie’s class starts with mindful focus on centering breath, and intention, and continues utilization of breath work or pranayama throughout the practice. Asana’s are movements or postures that with the breath and intention lead to grace and help us to heal, gaining freedom from pain in our body, mind and spirit. 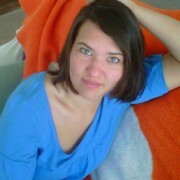 Julie was born in Texas, grew up in Nebraska and has lived in North Carolina for nearly 10 years. She most loves her family and friends, and adores her two sweet pups: Gibbons and Grady. She lives in Huntersville. Marjorie Dana grew up in Davidson and has lived in the Lake Norman area for over 25 years. She first tried yoga at Community Yoga in 2008 and became a certified yoga teacher a couple of years later to teach at her home studio. She is a real estate agent by day and enjoys all sorts of outdoor activities like gardening, hiking, and spending time with her family.